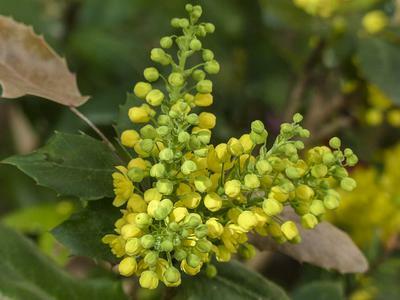 "Oregon grape was often used by several native North American Indian tribes to treat loss of appetite and debility. The root and root bark is alterative, blood tonic, cholagogue, diuretic, laxative and tonic. It improves the digestion and absorption and is taken internally in the treatment of psoriasis, syphilis, haemorrhages, stomach complaints and impure blood conditions. Externally, it has been used as a gargle for sore throats and as a wash for blurry or bloodshot eyes. The roots are harvested in late autumn or early spring and dried for later use." 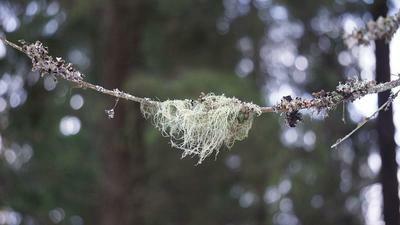 Usnea is a genus of mostly pale grayish-green fruticose lichens that grow like leafless mini-shrubs or tassels anchored on bark or twigs. "The usnic acid in Usnea is effective against gram positive bacteria such as Streptococcus and Staphylococcus, making Usnea a valuable addition to herbal formulas for sore throats and skin infections. It is also effective against a bacterium that commonly causes pneumonia.